As a small independent business, your opinion REALLY does matter and we would love to hear from you!  Your feedback helps us refine best business practices and continue to provide you the most excellent solar customer service on Cape Cod, Nantucket & Martha’s Vineyard.  The benefit of choosing us (your small, local solar installer who has been around for almost 30 years) creates a personal rather than corporate experience. Because we love what we do. Our bottom line is not “sales” or “closing”- our bottom line is you. The satisfied customer. Which is why we aim to make going solar easy and why your opinion really does matter.  We want to hear about your experience working with Cotuit Solar. Cotuit Solar T-Shirts are made locally by Kaleidoscope Imprints. 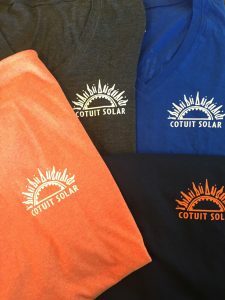 We know life is busy and time is precious so, as a thank you for taking the time to share your opinion, we will happily mail you a Cotuit Solar T shirt, in the size and color of your choice. These nifty t-shirts were made locally by Kaleidoscope Imprints. Thank you kindly. Of course, you are always welcome to call (508-428-8442) or email us (info@cotuitsolar.com) to share your thoughts.